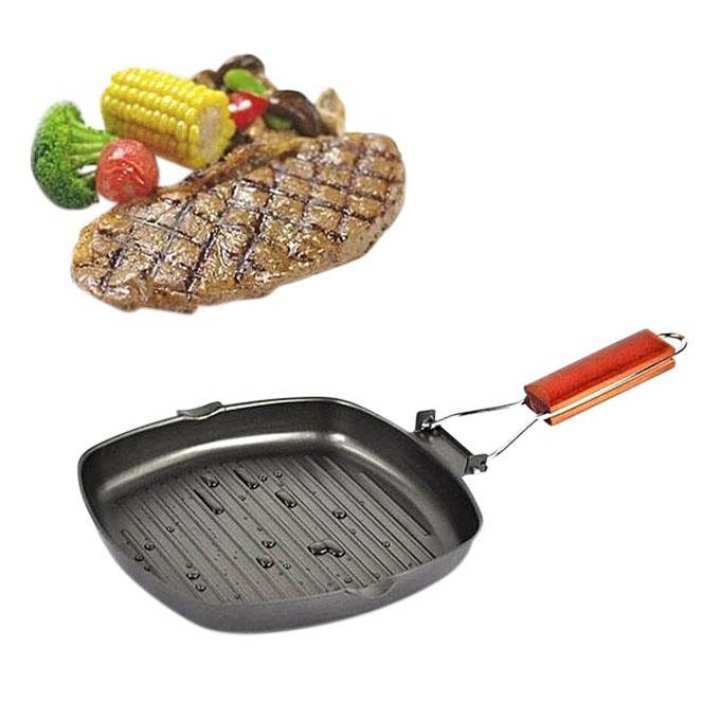 Non-Stick Square Grill Pan 26 Enjoy stress-free, healthy cooking with Tefal's Grill Pan . Precision-engineered, the pans assist any cook to produce excellent results every time, while the non-stick coating means healthier cooking without the need for oil. The Tefal's Grill Pan has a thermo-conductive base, which features anti-abrasion copper specklesfor excellent heat distribution and outstanding results.